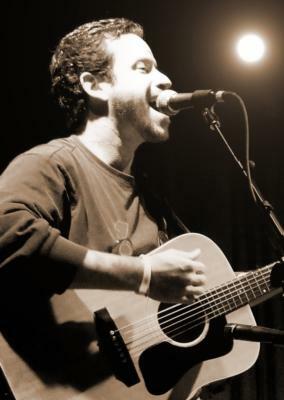 CHUCK FINK is a versatile singer/songwriter, acoustic guitarist, harmonica player, and a well-seasoned solo performer, spun from the folk-pop tradition. A veteran of countless clubs, pubs, coffeehouses, fairs, festivals, country clubs, restaurants, corporations, organizations, retirement facilities, public and private parties, schools, youth organizations, and a multitude of other situations, Chuck is as comfortable entertaining for a large or small audience, as he is perform a full-fledged concert or simply provide ambient background music. With an extensive repertoire of popular rock, folk, and pop songs spanning more than seven decades, Chuck has been a crowd pleaser on the solo-acoustic scene in Ohio, for more than twenty years now. Chuck weaves elements of pop, folk, oldies, rock, country, old-time favorites, standards, and instrumentals, as well as newer hits, into one pleasing musical package. 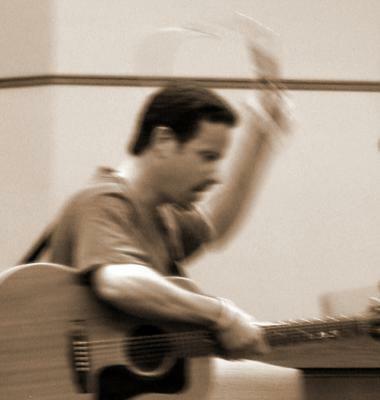 Chuck combines faithful covers of ubiquitous acoustic classics with unique adaptations, and innovative song medleys that might seem ill-suited to the genre and instrument, in any other hands. Yet they work especially well in Chuck's hands. Although he "specializes" in folk/pop/acoustic-rock hits of the 60's, 70's, on up to the present, Chuck possesses an endless array of great songs for all age groups, and his performances are easily adaptable for audiences of young kids, to those who are young at heart, and everyone in between! Though if Chuck is to be labeled by genre, he is deeply rooted in the folk genre and the tradition of activist inspired "music with a message"—a label he wears proudly. Chuck has had the privilege of sharing the stage with several of his mentors and friends over the years, including Peter Yarrow, of Peter, Paul & Mary, and Livingston Taylor. Often referred to as a "walkin' talkin' singin' songbook" for his vast wealth of songs, origins, folklore, and history, as well as his ability to sing in several languages, Chuck is quite an accomplished pseudo-ethnomusicologist and collector of songs. In his care, old songs sound new, and new songs don't sound old! So, why choose Chuck over a band, disc jockey, or even another solo performer? No objectivity here! Quite simply, Chuck is 100% committed to making the "live music" element of your next event, an easy hassle-free, and even fun experience. From the planning and execution, the process is simplified by Chuck's years of experience promoting both himself and other entertainers, as operator of his own full-service entertainment booking agency. Whether you're planning a wedding prelude, clambake, big stage event for thousands of spectators, or a backyard party for a few friends, Chuck will work with you to set the tone and create the intimacy you seek. With hundreds of songs in his repertoire, you have the ability to set the musical mood, right down to choosing the artists and songs you'd like, direct from Chuck's playlist. Chuck has a proven track record of delivering as a crowd pleaser, and his performance will surely exceed your expectations. It's almost a given that you'll receive high praise from your guests. Chuck has an innate ability to assess the crowd, choosing songs that fit the mood and circumstance, regardless of musical tastes or age. Chuck caters to the broadest common denominator and nearly every audience-generated musical whim, performing hit after hit song, often a step back in time sure to elicit special memories, while hitting everyone's sweet spot. Chuck's cordial repartee and nonintrusive interaction with the audience is a signature of his "peaceful easy feeling" performance style. He is the perfect combination of a consummate performer and polite house guest. Unless, of course, you want him to rock the house—in which case, he most definitely can (and will) oblige! Spirited sing-a-longs, audience participation, laughter and friendly banter, are also hallmarks of Chuck's versatility. And, in the great Pete Seeger tradition—Chuck, too, would be hard-pressed to find an audience he couldn't get to sing along! Have a guest that would like to sing a special song? No problem, Chuck will happily accompany. He'll even emcee your event, if you wish! Looking for a new way to unfold to familiar situations? Look no further! Professional live entertainment at a competitive price is what Chuck guarantees. Chuck requires minimal setup and space, and comes fully equipped with a sound system, if required. So, all you provide is the spot! Whatever the venue, whatever the occasion—Chuck assures a tuneful musical treat for everyone! Please contact us to discuss your event today! All inquiries will be answered within 24 hours. Chuck played for my wedding ceremony and was amazing. He gave my day that special touch that I really wanted. He was very accommodating and played everything I wanted him to. He called me to touch base on a regular basis before the ceremony which made me feel more comfortable with him. My guests loved listening to him and I loved that he played the selection I chose. His solo in the ceremony was great! I highly recommend Chuck Fink! Chuck did a fantastic job for us! He was super flexible with his playlist and played all the types of songs we were looking for. I'd highly recommend Chuck for any engagement. Please note Chuck Fink will also travel to Aurora, Hudson, Twinsburg, Macedonia, Streetsboro, Northfield, Solon, Bedford, Chagrin Falls, Peninsula, Stow, Mantua, Kent, Maple Heights, Munroe Falls, Novelty, Cuyahoga Falls, Bath, Garfield Heights, Mentor, Richfield, Beachwood, Akron, Ravenna, Tallmadge, Broadview Heights, Hiram, Cleveland Heights, Mayfield Heights, Medina.